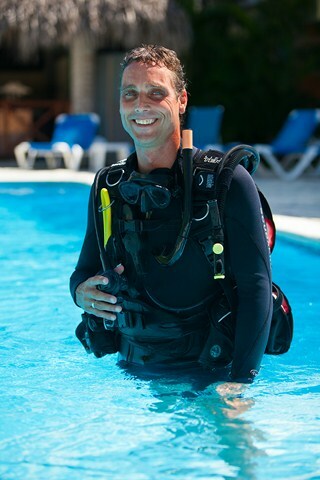 Take your IDC with the Caribbean Dive College and get to know the diversity of the Dominican Republic in diving, you will not only get certified but leave qualified. 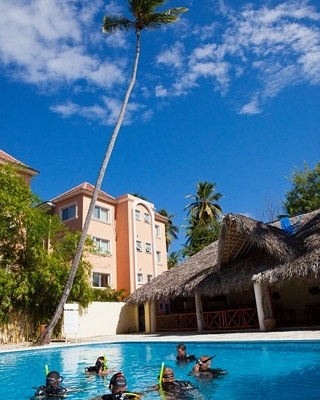 We are located in Bavaro, in the Dominican Republic , the Caribbean DiveCollege works within the operation of the 5star IDC Gold Palm Resort, Pelicano Sport. 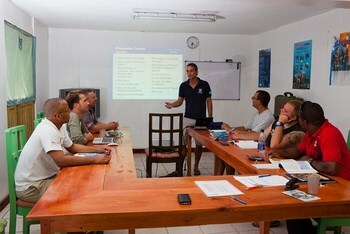 From here we start our courses on a daily bases and make excursions to the Caribbean side of the Island . Because of this we are able to offer a great variety in dive sites, like the famous St George wreck in Bahahibe and the caves Macao and Padre nuestro. Our candidates will also get experience in guiding these excursions. 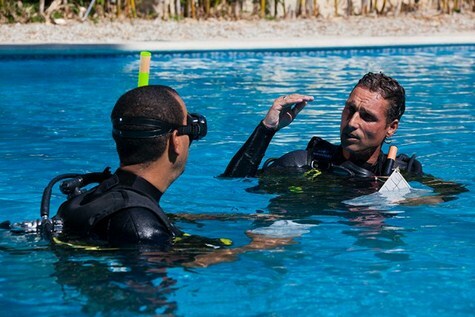 We are focused on the Go Pro programs in which our candidates learn everything about working in a professional Dive Operation, like equipment repair and compressor handling. We do not depend on seasons and can provide the practical training all year around. By assisting Instructors during our programs on a daily bases you will get the necessary experience to become a competent professional and more important feel comfortable in teaching students. 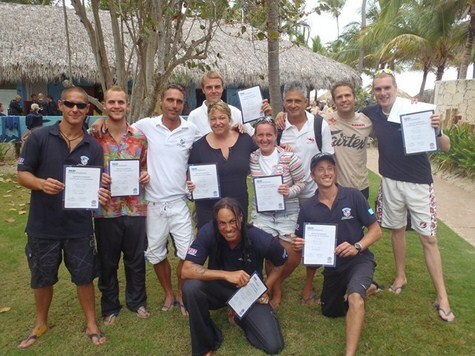 For newly certified Instructors we have a job placement program where the first courses will be together with an experienced Instructor. 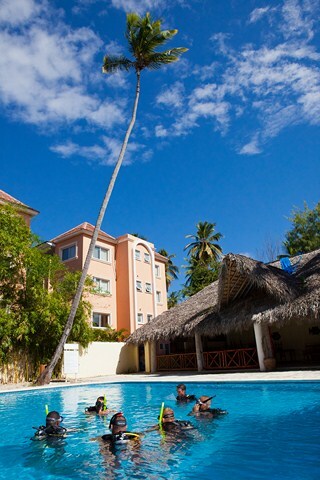 There are no work permits necessary here in the DR so it is the perfect place to gain experience and learn the Spanish language. 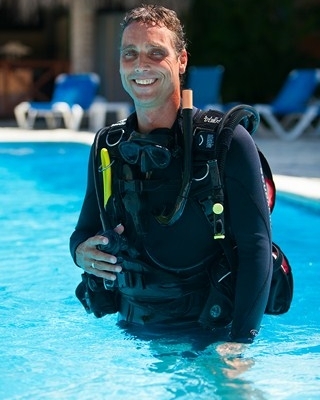 Our new MSDT program will guide you and let you teach, and certify the 25 students you need to become Master Scuba Diver Trainer. For our IDC candidates who like to refresh their skills or get a little more experience before the IDC, you can come earlier dives and refresh sessions. During our programs you can stay in our guesthouse where you find the relaxed atmosphere to study and hang out with the rest of the candidates.